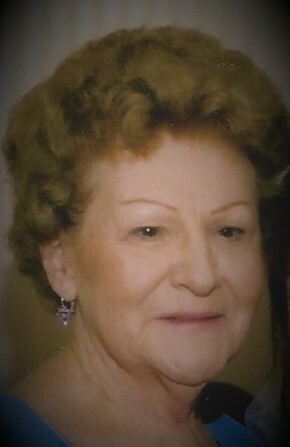 Obituary for Janice M. (Ellison) Weingart | Bronson & Guthlein Funeral Home, Inc.
Janice M. Weingart of Milltown, NJ passed away surrounded by her loving family on February 5, 2019 at St. Peter’s University Hospital, New Brunswick. Born in New Brunswick, Janice was a longtime Milltown resident. She was employed for many years by St. Peter’s hospital as a nurse. She was a parishioner of Our Lady of Lourdes RC Church, Milltown. Janice enjoyed travel, gardening, and treasured most her time spent with her dear grandchildren. Predeceased by her beloved husband Albert and brother John, she is survived by her loving daughter Susan, daughter and son-in-law Eileen and Mark Lesniak, grandchildren Mark and Hannah, and brother William. Family and friends will be received on Friday 4-8pm at the Bronson & Guthlein Funeral Home of Milltown. The funeral mass will be celebrated Saturday 9:30am with interment to follow at St. Peter’s Cemetery, New Brunswick. In lieu of flowers the family kindly requests memorial donations be made to Saint Peter's Foundation, Attn: Children’s Hospital, 254 Easton Avenue, New Brunswick, NJ 08901.